17 August 2010, at 11:17p.m. 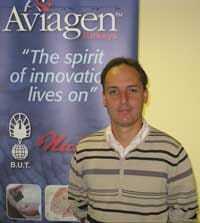 UK - Aviagen Turkeys is pleased to announce the appointment of Dr Jerome Noirault to the position of Management Specialist working in Europe as part of the service team. Dr Noirault brings a wealth of experience in turkey production from his previous roles in the French turkey industry. He has worked with both breeding stock and commercial turkeys and understands the performance of Aviagen Turkeys products in the field. He gained a PhD in poultry production at the Tours University for worked carried out at the INRA research centre, specialising in male breeding turkeys. Customer support is a key area for our business to ensure our products achieve their potential in the field. Aviagen says its products lead the field in genetic potential and our service work ensures our customers achieve optimum performance. Dr Noirault will report to Sales and Marketing Director Richard Hutchinson and travel extensively visiting the European customer base.